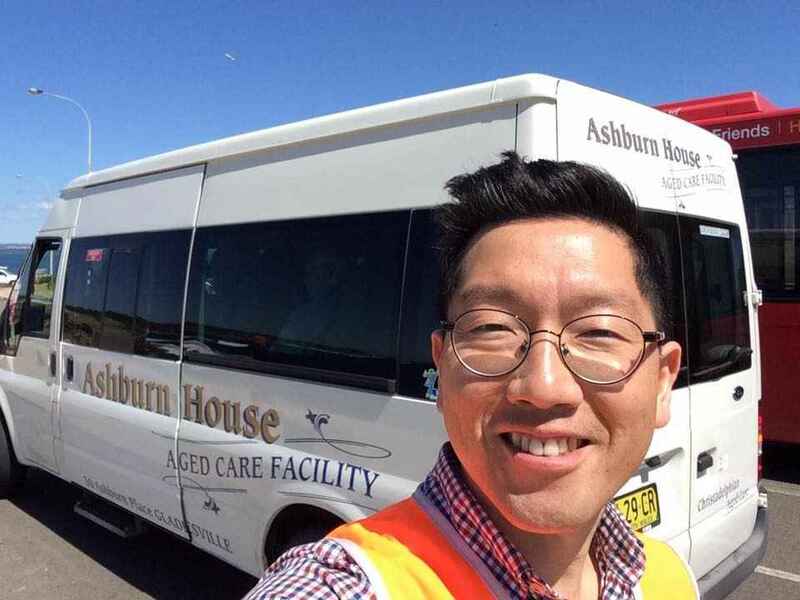 When a young man came to help lay tiles at a building site in Gladesville, he had no idea he was helping build an aged care home, or that he would be back eight years later to volunteer. “I don’t remember when, but I worked as a tiler here at Ashburn House when the development happened (between 2006-2007). I came to lay tiles for a number of units’ toilet and shower rooms but had no idea of what kind of facility it was. I came back here in February 2014 as a student minister, and now a Uniting Church minister to lead chapel service. I said to myself, ‘I thought I’d been to this building!’ when I was arriving at the front door. I could not figure out where I laid tiles years back. The building site has become a beautiful home for many who are vulnerable but still beautiful in their chapters of life. I’ve witnessed that at Ashburn House all are welcomed and cared for by the caregivers and all sorts of supporters including all volunteers like me. My role is as a chaplain or religious minister and my aim is to affirm and reaffirm that those attending the chapel service are still connected to the love of God and the church no matter what denomination they came from. That is why the Uniting Church people conduct hymn singing, communion or the eucharist, washing of the hands and anointing with olive oil to pray for healing and soothing. I always try to deliver God’s love to all at Ashburn House. You may know that I am married with three children, Joshua, Daniel and Heather. My wife and three kids are all gifted in music and we have performed at the Christmas Carol service every December since 2014. Grace and I met in a young adult group of a Presbyterian Church in Korea. We found from each other that we were so committed to Christian mission toward the world, especially in North Korea. In my 20s I joined two Christian mission outreach programs that encouraged young people to open their eyes to see the world through the lens of the gospel and love of God. I went to Australia (1999) and Ethiopia and Sudan (2000). It was a life-changing experience for me as a Christian. Grace and I decided to come help a Korean speaking church in Belmore develop their mission activities for Aboriginal people, particularly in the Dubbo region as well as supporting migrant Korean people. For more than 14 years I served the church and worked with many Aboriginal brothers and sisters, Korean migrants and many other ethnic group. I learnt a lot about how we are all from different cultural and linguistic backgrounds, but all have one hope which is to live in a new home called Australia and to enjoy seeing our families happy and successful. 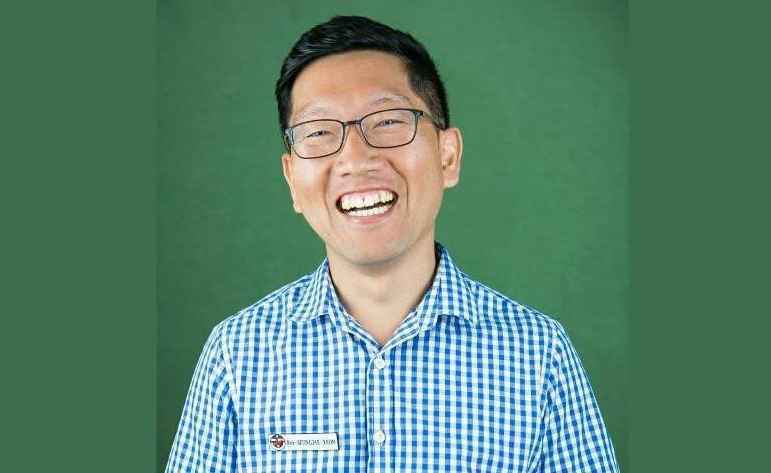 I was accepted as a ministry candidate in 2012 for training and then in 2014 ordained to minister of the Uniting Church congregation in Gladesville-Boronia Park. It has caused me to work voluntarily here at Ashburn House as a chaplain and a bus driver. memories and stories and feel refreshed after each trip. In my eyes, they look like students having excursions with their peers. They are still young at heart. I love to be with them and support them by the love that Jesus has taught me through the Bible teachings. For more information about volunteering please contact our Resident Wellbeing Manager Stuart Muir on smuir@chomes.com.au.